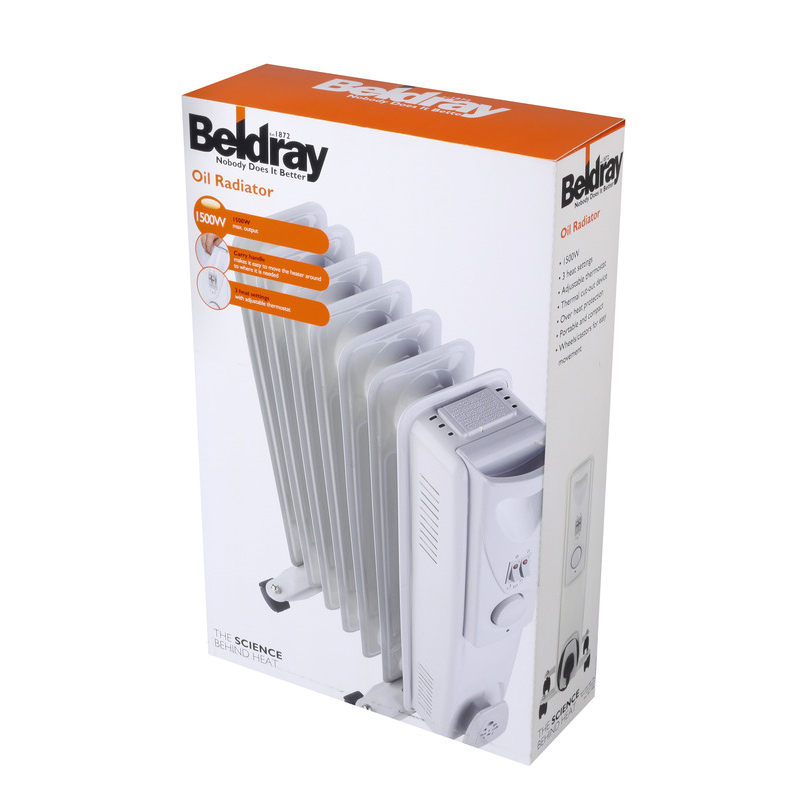 If your house is feeling chilly this winter give it some extra heat with this Beldray 7 fin oil radiator with 3 heat settings and an adjustable thermostat to give you complete control. 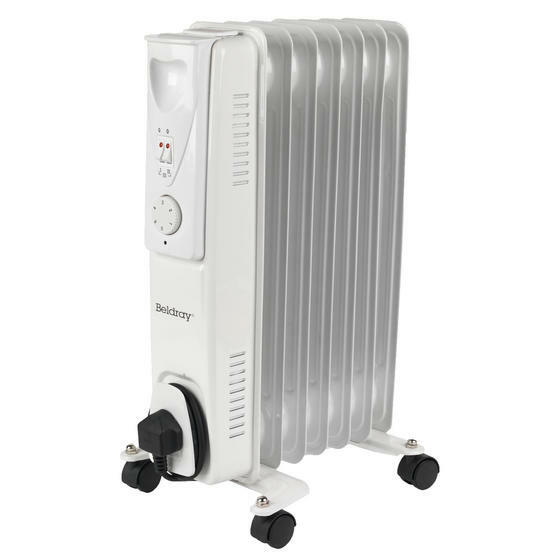 A great portable heater, it has four sturdy 360° wheels, a carry handle and handy power cord storage, so it is wonderfully easy to move and store away. 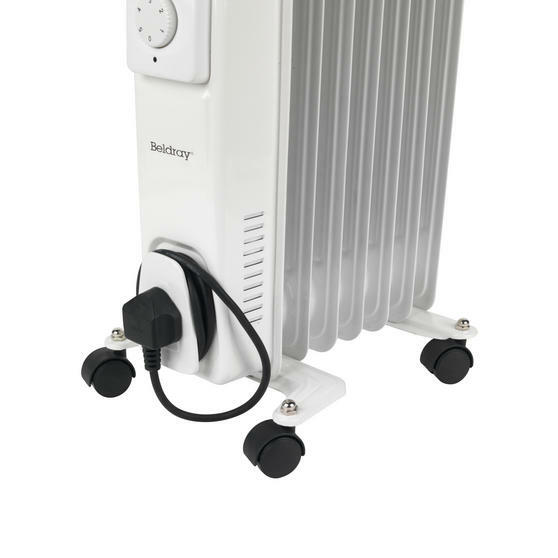 With 1500W power, the conduction heating provides brilliant warmth while operating silently, so you can relax and enjoy the quiet, cosy atmosphere in your home. Using oil as a heat conductor this Beldray radiator efficiently draws in cold air, heats it and releases it to provide warmth quickly. With 1500W power, the radiator has 3 heat settings and an adjustable thermostat, so you can manage the temperature at your ease. It has a carry handle and four 360° wheels which make it easy to move through the house to the desired room and simple to store away. 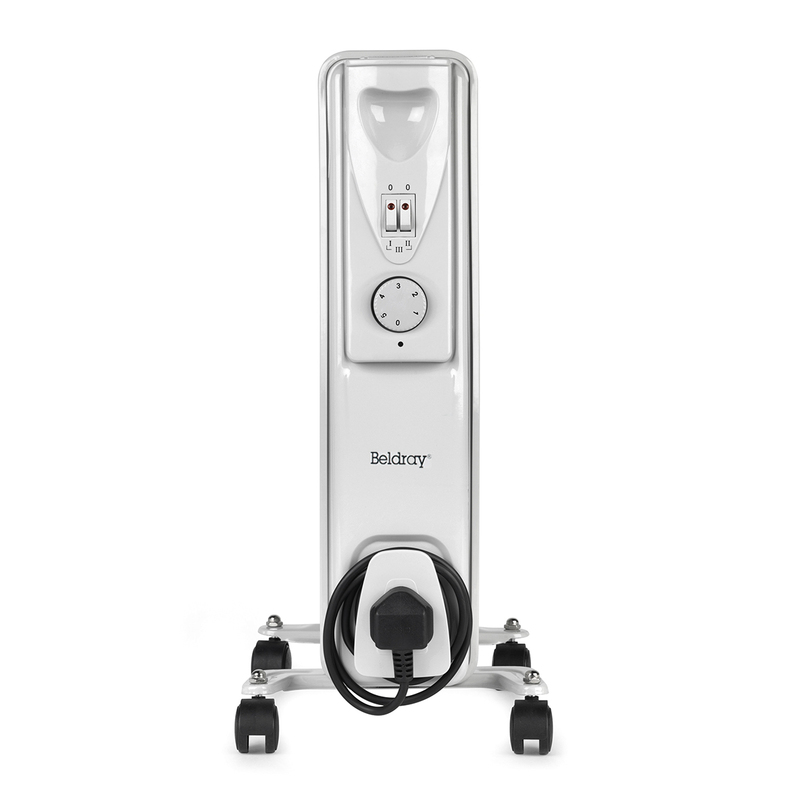 The thermal cut out device provides overheat protection so the room will not get uncomfortably hot, and you can feel safe during use. 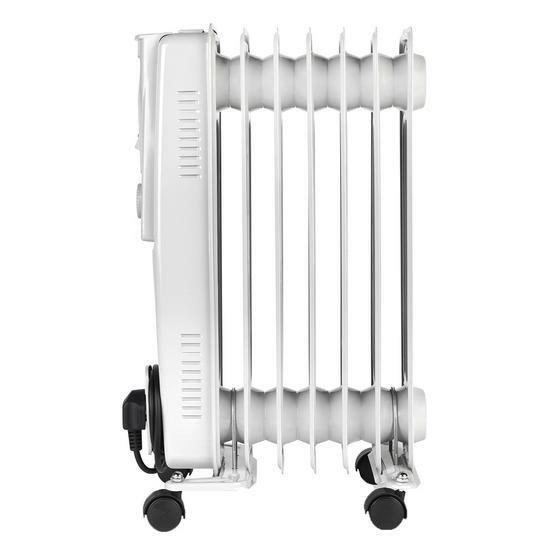 Measuring 33l x 24w x 54.5h cm, this radiator covers more surface area using a mix of large and small fins, heating the room faster.